This green brown prism crystal suncatcher can be hung on the rearview mirror, in a window at home, the office, nursery or wherever you choose! 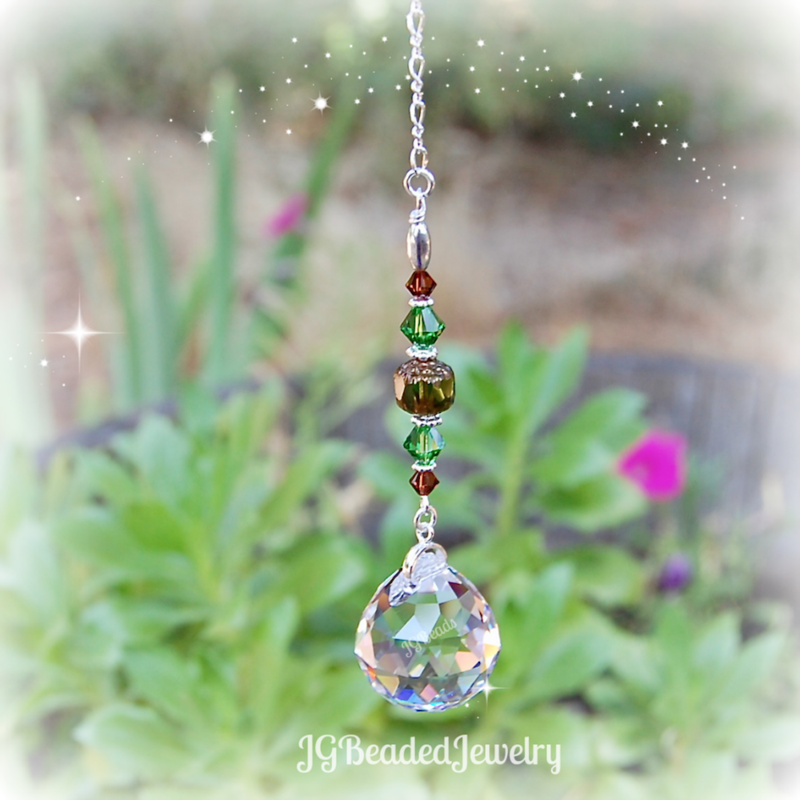 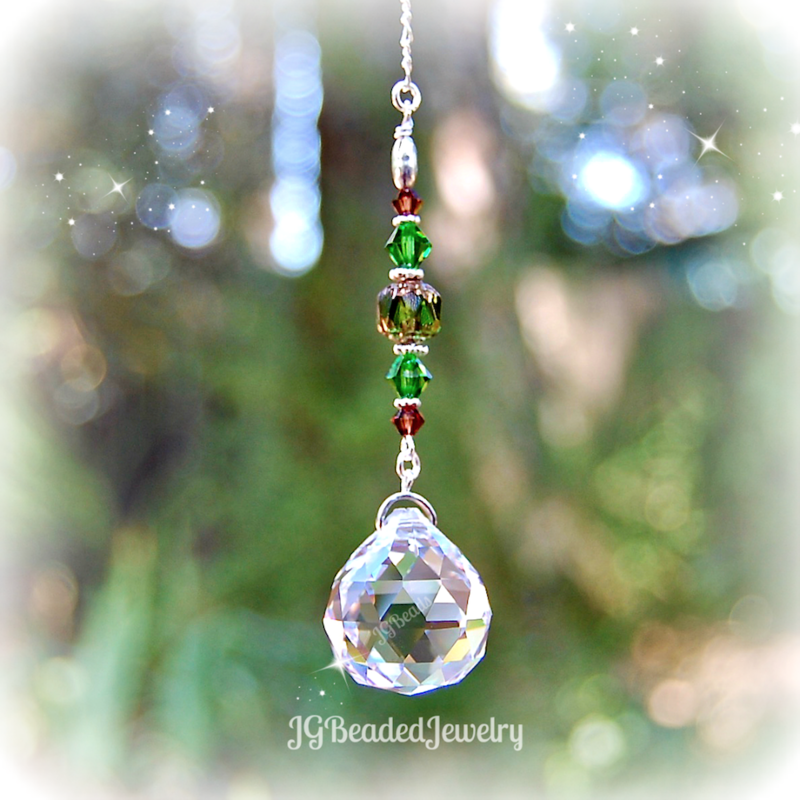 The crystal ball is wire wrapped by hand for strength and longevity with gorgeous green and brown Swarovski crystals, a lovely green with golden accents faceted glass bead in the middle and fancy silver metal beads. 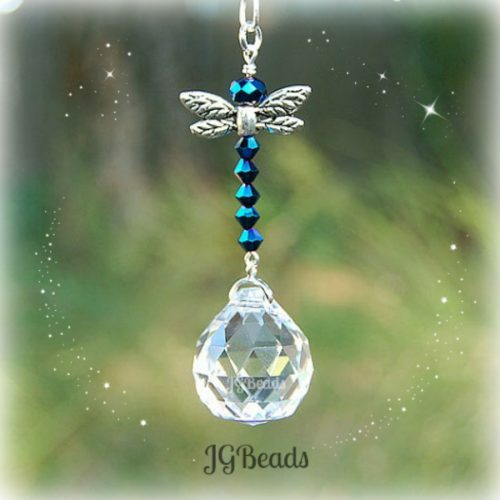 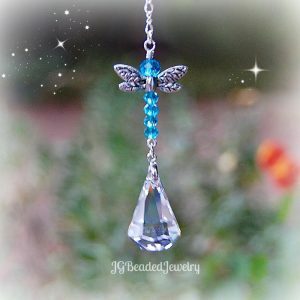 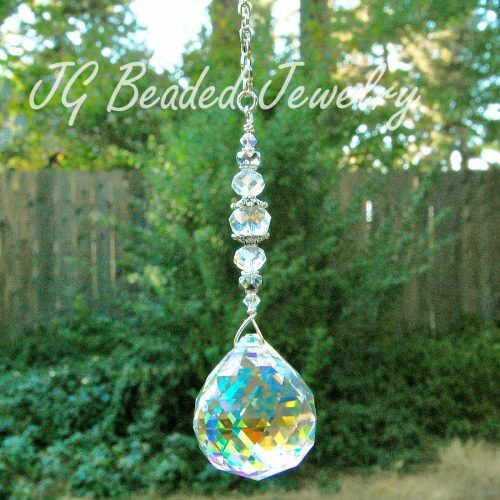 The suncatcher is available with a 20mm crystal ball in crystal clear or AB clear. 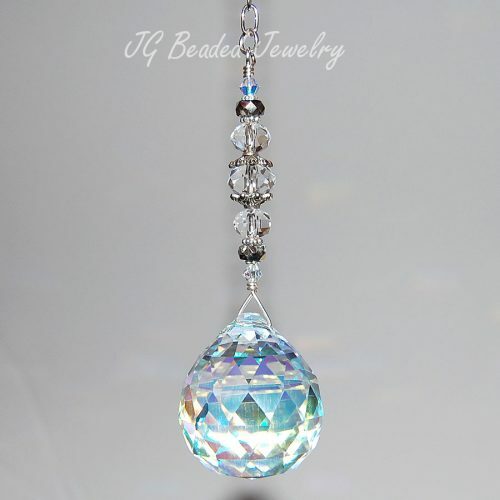 The AB clear prism has a partial aurora borealis finish which assists in a greater rainbow effect when in direct sunlight. 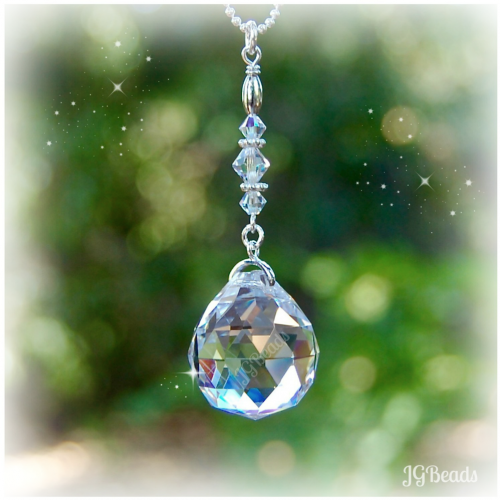 Shown in the photos is the crystal clear prism.